Mija and her grandfather is raising a giant genetically modified pig in the mountains of South Korea on behalf of the an agro conglomerate, Mirando Corporation. When the gentle pig, Okja, comes of age and is crowned the winner of Mirando Corporation’s “Super Pig Contest”, she is forcefully taken to New York City. Against her grandfather’s wishes, Mija travels with a group of radical activists to America to take back Okja before she is used for Mirando Corporation’s sinister plans. If you’re a vegetarian or vegan, Okja will be a difficult movie to stomach. (Pun fully intended.) This film is by no means subtle or delicate in its subject matter or style. Instead, director Boon Jong Ho announces his anti-capitalism and pro-environment message loud and clear through a director’s megaphone. Headlined by a strong cast of American and Korean actors, Boon is able to make the audience truly sympathize with a young girl and her CGI giant pig as they attempt to take down something much bigger than them. 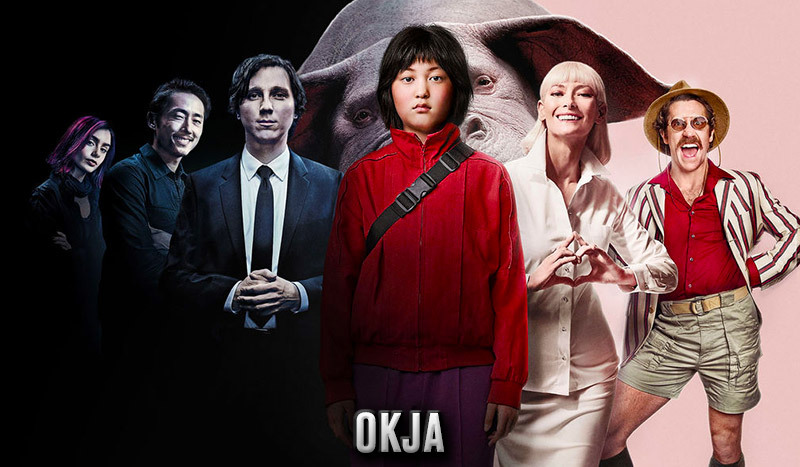 While Okja is neither a family-friendly nor particularly uplifting movie, the witty satire and rich character development Boon asserts into the film make it well worth the Netflix subscription. In today’s political environment, Okja comes across as a very reactionary film to what’s currently going on in the news. To Boon’s credit, however, he displayed no intentions of ever camouflaging the political undertones in his work. Even with Snowpiercer and The Host, the metaphors and allegories were never subtle. Though it has its contemplative moments, Okja is a largely brash and loud film filled with bombastic characters. (Seriously, this was Jake Gyllenhaal at his most unhinged.) Even if you’re normally a politically neutral person in real life, there’s no way you’ll be able to walk away from watching Okja without feeling some type of way. The relationship between Okja and her teenage caretaker and best friend, Mija, is the heartbeat of the film. Mija’s unwavering loyalty and devotion to Okja is what makes you root so passionately for them and so fervently against Mirando Corporation and the people it represents. As much as I wanted to root for the underdog and see Mija take down the evildoers that tried to kill and eat(!) her best friend, this movie doesn’t necessarily give us the happy ending that many of us undoubtedly craved. The film’s story may be fictional, but the parts of it rooted in reality remain as cold as ever. For every little triumph achieved by our heroine and her merry band of PETA-esque animal lovers, there’s a countermove from the Mirando Corporation. Ultimately, I felt a sense of dissatisfaction and slight despair from how the movie ended because the big “victory” Mija achieves wasn’t actually that triumphant in the grand scheme of things. Although the story in Okja wasn’t innovative enough for it to dethrone Snowpiercer in my Bong Joon Ho movie rankings, I greatly enjoyed the movie for its poignant and timely message. The all-star cast of Hollywood actors was a great addition to the movie, but the anchor of the film still belonged to the young Korean actress who played Mija, Ahn Seo Hyeon. She acts like a veteran double her age, and can definitely go toe to toe with the best of them. Tilda Swinton is an otherworldly queen, but even she has to move out of the way for Ahn’s fierce and moving performance. Okja isn’t an easy movie to watch, especially in the latter half. It is, however, a necessary film that shines a glaring spotlight on the increasingly capitalist society we all live in. Is it grim? Sure. Is it depressing? Definitely. But is it still worth watching? Absolutely. Okja premiered at the 2017 Cannes Film Festival, and received a 4-minute ovation at the end of its screening. Director Bong Joon Ho is best known for directing two of Korea’s highest-grossing films, The Host (2006) and Snowpiercer (2013). Tilda Swinton previously worked with Boon in Snowpiercer. Swinton played the film’s villain, Minister Monsoon. Steven Yeun is best known for playing the character of Glenn Rhee on the American TV series, The Walking Dead, for 7 seasons. 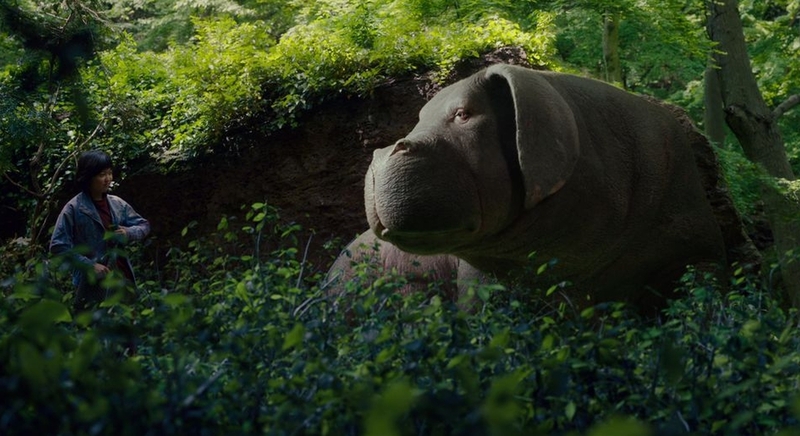 Okja was his first project after leaving the show.